Artists sometimes move too fast, abandoning parts of a personal style that deserve development. 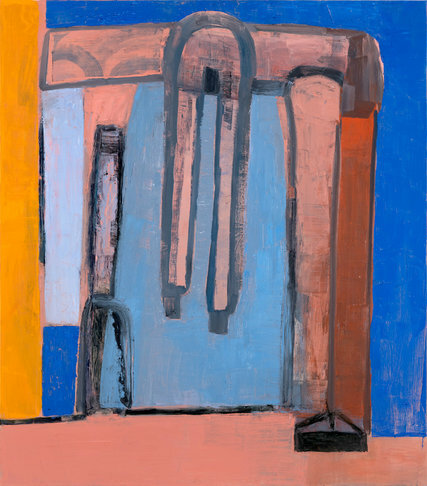 And so, in some of the best paintings of her career, Amy Sillman steps back from abstraction to reassert the ambiguous figurative motifs from her earlier paintings, which conjure cartoons, modernist abbreviation and a persistent eroticism. “Stuff Change,” the show’s title, bluntly suggests artistic growth, but is also a literal translation of “stoffwechsel,” the German word for metabolism. Teasing ambiguities flourish, along with strange little folds that might be flesh (see “Tough Girls”). The suspended two-legged form in “Table 2” could be pantyhose hung out to dry or a person bent vulnerably over on a table. The title “Back of a Horse Costume x 2,” clarifies the work but doesn’t becalm the active play of violet, green and gray strata. These new paintings are beautiful and funky; elegant but attuned to the messiness of desire; luxurious in their materials and reworkings yet economical. And they have company. 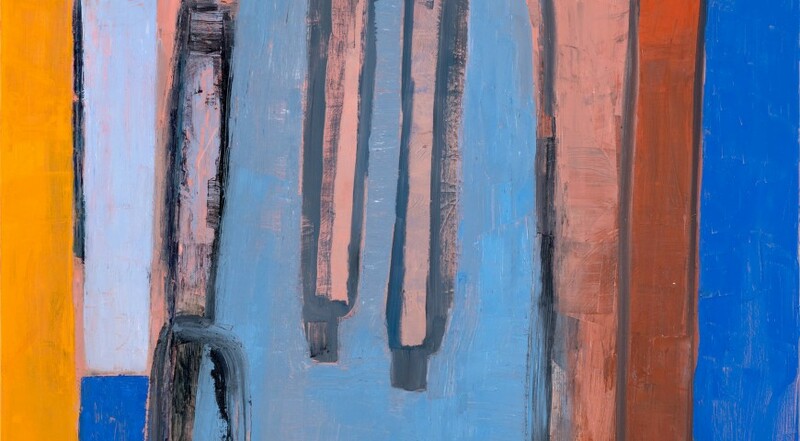 Ms. Sillman has lined a back gallery with a panorama of 14 canvases, using stained acrylic (not oil), inkjet-printing and ink painting to create a panorama of dark bobbing shapes and calligraphic marks. The results are generic but introduce a new, intriguing side of her sensibility. A problem affecting all the paintings is a tendency toward decorousness. In an animated video made from Ms. Sillman’s drawings, two women repeatedly throw stones. There should be more of this recklessness on canvas, not exhibited adjacent.